Downtown Miami is one of the hottest and most diverse areas for both condos and real estate in South Florida. It boasts high class offerings of residential and commercial properties that suit every lifestyle and price point imaginable. Shaped within a mixed cultural blend and a population of over 5.4 million residents, Miami is one of the most populated metropolitan areas in the United States. It is also the largest financial and business center in Florida. Miami’s Downtown area is the lighthouse for contemporary executives and residents alike. Its impressive landscape is full of high-rise condominium towers stretching from its southern bordering neighborhoods of Brickell Ave and Brickell Key to the area of Midtown Miami to its north. Just east of Downtown Miami you will find other nearby cities and neighborhoods including South Beach, Miami Beach and Fisher Island. Downtown Miami is the up-and-coming luxury neighborhood of Miami with many condos offering some of the best waterfront views and amenities anywhere in the city. Check out the new Auberge Miami Residences and Spa. 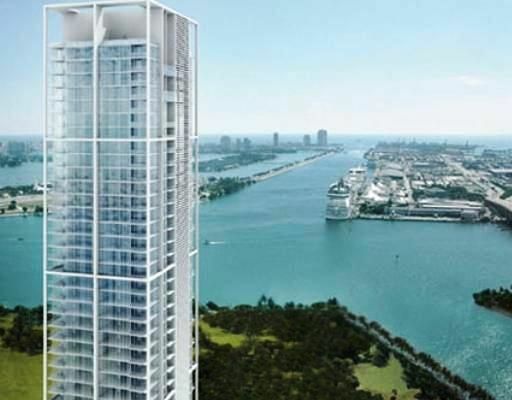 Top Luxury Downtown Miami Condos include Marquis Residences, 900 Biscayne Bay, Epic Residences, Marina Blue, and Ten Museum Park. Other popular downtown condo choices include 50 Biscayne, One Miami East and One Miami West. The amenities and features of many of these dynamic properties are endless and are regarded as some of the most luxurious anywhere in the world. Most Downtown Miami condos are located along Biscayne Boulevard and are within walking distance to the American Airlines Arena, Bayside Marketplace and Adrienne Arsht Center and a seven minute drive to South Beach and the Miami International Airport. Downtown Miami luxury condos are located in areas that offer a multiple choice option range to configure your lifestyle. Whether its sports, relax, business, family activities or nightlife, the Downtown Miami area offers you a specialized spot. Traveling east Along the MacArthur Causeway, Jungle Island and Miami Children’s Museum exemplify family five-star entertainment. As you continue along the Causeway you find the path to celebrities’ homes in some of the islands aside the road such as Star Island. As you continue east, the Causeway leads to popular Miami Beach and the well-known South Beach areas where a variety of nightlife action takes place. Many famous restaurants, theaters and bars shape South Beach offering the most vibrant alternatives for every taste. All this will be at your reach, when you decide to take advantage of the opportunity that is open for future condo owners in Downtown Miami. Steve Samuels is known as one of the premier Miami Real Estate & Miami Condo Brokers in the South Florida market. His negotiation skills, market knowledge and no-nonsense, results-driven approach has made him one of the most sought after luxury condominium, Oceanfront, Beachfront Condos, Oceanfront Villas, and single family waterfront realtors from Hallandale, Sunny Isles Beach, Miami, to Palm Beach County. View MLS Listings for Hallandale, Downtown Miami, South Beach, Sunny Isles, Miami Beach Condos for Sale in South Florida and Miami Beach. CondosandCondos.com is one of the Leading Sunny Isles Baech Real Estate websites where you can find Waterfront, Bayfront, Beachfront Condo Sales, Oceanfront Condos Sales & Rent . Search for Oceanfront Condos Luxury Condos in Miami, Miami Beach, South Beach, Sunny Isles, Hallandale, Key Biscayne, Bal Harbour, Fisher Island, Coral Gables, Ocean Drive and all of South Florida.